Most people, including philosophers, tend to classify human motives as falling into one of two categories: the egoistic or the altruistic, the self-interested or the moral. According to Susan Wolf, however, much of what motivates us does not comfortably fit into this scheme. Often we act neither for our own sake nor out of duty or an impersonal concern for the world. Rather, we act out of love for objects that we rightly perceive as worthy of love--and it is these actions that give meaning to our lives. Wolf makes a compelling case that, along with happiness and morality, this kind of meaningfulness constitutes a distinctive dimension of a good life. 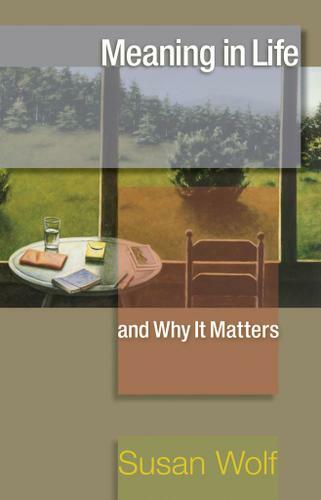 Written in a lively and engaging style, and full of provocative examples, Meaning in Life and Why It Matters is a profound and original reflection on a subject of permanent human concern.